Baby is playing merrily with his friends outside. Mother called him. What’s the matter, Mom, he enquired. Did you finish your homework? Mother asked him. It has already been finished, replied Baby, while running after the ball hurriedly. But, let me see it, says the mother. I can show it later, Mom; now let me play. Baby answered. It’s not enough, I must see it right now, mother insisted on. Baby’s face faded. Though the mother understood the matter, she didn’t show it out. Baby went in and slowly came out with his notebook. Mother looked into it and asked seriously: you told me a lie? Saints are people who love others sincerely. Love of neighbour and love of God go together. They will also be men of prayer and faithful even in minute details. There was such a saintly man among the Mar Toma Nazranees: Blessed Kuriakose Elias Chavara. He was born at Kainakary, a village near Alleppey in 1805. Right from childhood Kuriakose was interested in the matters of God. Despite the fact that he was the only heir of his family, he left everything behind and decided to become a priest, responding to the special call of God. He got ordained a priest in 1829, after having completed his training under the famous Malpan (learned teacher) of Pallipuram, Father Thomas Palackal. Together with Malpan Thomas Palackal, his own teacher, and Malpan Thomas Porookara, another prominent teacher and priest among the Mar Toma Nazranees at that time, he started the first indigenous religious institute of India in 1831 at Mannanam, near Kottayam. This religious institute is known today as the “Carmelites of Mary Immaculate (C. M. I. )” and it does commendable services both inside and outside India. The last ten years of his life, he served the Church also as the Vicar General of the Archbishop of Verapoly, specially for Mar Toma Nazranees. It was during those days that he had to fight against Rokkos Schism. He fully succeeded in that fight and consequently sent bishop Rokkos away from Kerala. There lived also a loving lady, very dear to God, among the Mar Toma Nazranees: Mart Alphonsa. That Rose flower blossomed in a village called Kudamaloor, near Kottayam. She lost her mother, when she was very young. The elder sister of her mother generously offered protection to her. She thus was taken to Muttuchira and there she grew up in strict discipline. She was specially blessed by God in beauty that she excelled all her friends in comeliness. Her foster-mother used to adorn her with special ornaments, just like a young bride, even when she was going to the school. Having stepped into adolescence, she became the attraction of many young men. According to local custom, her aunt also wished to give her in marriage to a smart young man. But our young darling did not like married life at all. She shunned worldly pleasures and comforts of life. She had decided to give her completely to Jesus. She even had to burn herself and deform her bodily beauty in order to avoid proposals for marriage. Having overcome all obstacles, she joined the Clarist religious community as an aspirant. Right from the early formation period in religious life, she had to bear the attacks of several serious diseases. Many a time, the superiors thought of sending her away from religious life. But somehow, their conscience did not allow them to do that. Young sister Alphonsa who was burning with love for Jesus, her bridegroom who had already sacrificed himself for her, left for her heavenly crown on July 28, 1946. She was only 36 years old when she died. Young darling, she became a great Saint in a very short period of life. Pope John Paul II, during his pastoral visit to India, officially declared at Kottayam on February 8, 1986 that these two great personalities among the Mar Toma Nazranees of India are recognized as BLESSED by the Church. Today all pray to these Blessed and they obtain several favours from the good God through their intercession. Mart Alphonsa was later canonized on 12 October 2008 by Pope Benedict XVI. The third BLESSED of the Mar Toma Margam is Mariam Thresia. She is the foundress of the Holy Family religious community for women. She was born on April 26, 1876 at Puthenchira, a comely village near Irinjalakuda. From the very early ages she decided to remain a virgin forever. At the age of 15 she decided to retire to the forests and lead a solitary and pious life. Her parents happened to know about it and somehow succeeded to hold her back. Later she joined the Carmelite Congregation to lead perfect life of total dedication. But without much delay she understood that her vocation was different and with the help of her spiritual director began to live in a solitary house together with two other women from September 23, 1913. She eagerly desired to follow Christ literally in everything, especially in his sufferings. At the same time she liked to help the people around as much as possible. On May 14, 1914 the local ordinary, Mar John Menacherry, consulting with Rev. Fr. 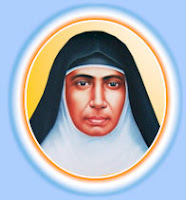 Vithayathil, the spiritual director, gave her religious habit and thus established the Holy Family Religious Congregation. He also gave her the name Mariam Thresia. Family apostolate is the charism of the new religious community founded by Blessed Mariam Thresia. Mariam Thresia suffered a lot of bodily afflictions. She also received the five stigmata of our Lord from January 27, 1909 onwards. She is the first and the only one blessed with the gift of stigmata among the Mar Toma Nazranees. Together with the bodily afflictions she also received various kinds of supernatural experiences and favours. She was called to eternal glory on June 8, 1926 and was buried at Kuzhikkattussery. People began to throng around her grave and seek her help for all kinds of their needs. This encouraged the superiors to begin the process of her canonization. On April 9, 2000 she was proclaimed BLESSED by Pope John Paul II in Rome. Let us also seek her help in our needs. Kunjachan was born on 1 April 1891 at Ramapuram. Mani and Elishwa Thevarparampil were his parents. At baptism he was given the name Augustine, the patron saint of the parish. He did his middle school and high school studies at St. Ephrem’s High School, Mannanam. He was ordained a priest in 1921. 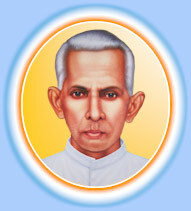 Kunjachan was appointed as the assistant parish priest at Kadanad in 1923. On health reasons, he was appointed the assistant parish priest at home town in 1926. For the rest of his life he was officially assistant parish priest at Ramapuram. Kunjachan died 16 October 1973. For nearly four decades Kunjachan rendered unwavering service to the Dalits at the cost of great personal hardship and persisting opposition from some prominent traditional Christians, including a few relatives. He lived a life of the untouchable, except sins. He had no box or shelf to keep his clothes. In his last will he disposed that after his death he was to be buried where his Harijan Christians were buried. Kunjachan lived at a time when the concept of evangelization gained least priority in the local Church for various reasons. He was a man filled with a missionary spirit. Though he was not a biblical scholar, he was on fire for the love of Jesus. The spirit of evangelization that emerged in him was a natural outcome of his personal experience of Jesus. He firmly believed that introducing Jesus and his redemptive teachings to others would be an indispensable duty of every priest. He was also aware of the fact that accepting Christianity means not only opening a man’s life to spiritual liberation but also entering a path to integral development comprehending social, cultural and economic aspects. Moreover, he was convinced that he should follow the footsteps of Jesus who was very particular to preach the Good News to the poor. Augustine Thevarparampil, known as Ramapuram Kunjachan was declared Blessed on 30 April 2006 by His Beatitude Varkey Vithayathil, CSsR, the Major Archbishop of Syro-Malabar Church at Ramapuram in the diocese of Palai, the very place where Kunjachan lived, worked, died and was buried. Blessed Kunjachan is the first one from among the diocesan priests of India to be raised to the honours of the Altar. The Church celebrates his feast on October 16. 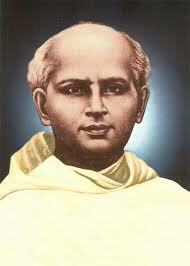 Blessed Kunjachan lived his priestly life in sanctity and significantly following the footsteps of Jesus Christ announcing the good news to the poor towards their integral liberation through his preferential option for the poor and the untouchables of the society. A brave soldier of Mar Toma Margam has left for eternal reward. That is venerable Father Placid. He was a towering personality among the twentieth century Mar Toma Nazranees. He acquired a good grasp of the Mar Toma Margam and fully dedicated his life to restore and develop its spirit, charm and genuine life style. We must say that he succeeded to a great extent in this Herculean task. He led a holy life. Being a true believer, he understood clearly the distinction and relation between the Mar Toma Margam and the Universal Church. He fostered a filial devotion to both of them. True reverence and obedience to Pope, the Successor of Peter and Head of the universal Church, allergy to worldly honours and positions, unassuming hard work, suffering habit, and so on, are some of the virtues that shined forth in the life of Father Placid. He completed his life as a messenger of peace and thus made meaningful the name PLACID which he got in the C. M. I. religious community. Waves are few in the deep sea. Father Placid was, indeed, a man of depth, both in his learning and in his spiritual life. Father Placid who was born at Kudamaloor, the birth place of Blessed Alphonsa, in the year 1899, after having left behind many decades of multifaceted life, left for eternal reward on April 27, 1984. He was a humble religious, a revered priest, an authentic scholar, a good retreat preacher, a public orator, a sought after ecumenist, a beloved Seminary Professor, an authority of Mar Toma Margam, a prolific writer, a walking encyclopaedia, a consultor to the Holy See, and so on. His mortal remains are laid to rest in the CMI monastery chapel at Chethipuzha near Changanacherry. The faithful who knew him well are used to visit his tomb and seek his intercession.